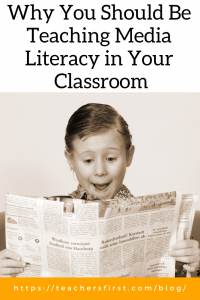 Media Literacy is an important topic that all teachers should be involved in teaching. According to Common Sense Media, media literacy is the ability to identify different types of media and understand the messages they’re sending. A more detailed definition of media literacy is the ability to access, analyze, evaluate and create media in a variety of forms. Whichever definition you choose, it is something you should be teaching in your classroom. 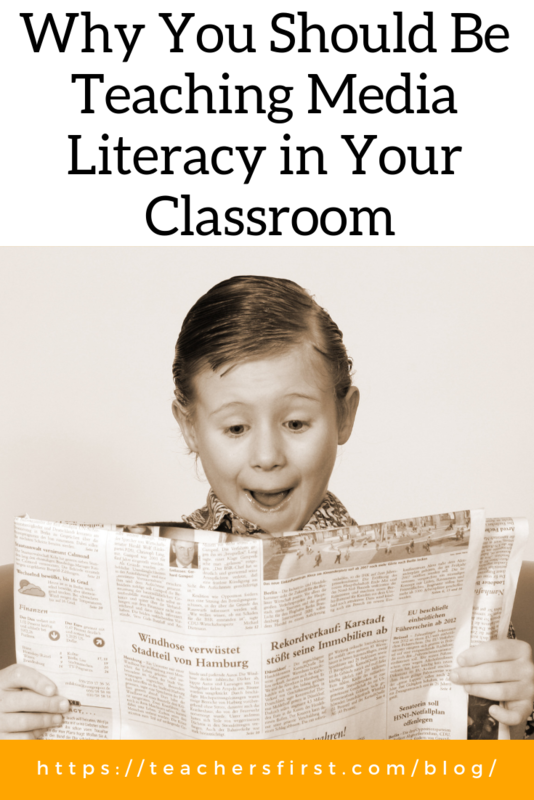 Teaching media literacy has many benefits for students. Those benefits include learning how to think critically, the ability to differentiate between fake and real news, recognizing perspective and the message “behind” the message, and learning how to create media responsibly. When students are confident in these abilities they are better at research, writing, and communicating, all of which are vital skills for students today. Feeling as if you do not know enough about media literacy to incorporate it into your curriculum? Take advantage of free online media literacy professional development for teachers. Start off small with Media Literacy 101 – an online primer on teaching key media literacy concepts. If you would like something a little more in depth, participate in the Media Education: Make It Happen program. PBS is now offering an educator certification program for media literacy. This is the first in a series of TeachersFirst blog posts about media literacy. In addition, TeachersFirst has many media literacy resources available. Prior TeachersFirst blog posts offer a wealth of information. The next post in this series will be about analyzing media.